The Samsung Galaxy S III wins our award for Best Budget Android Smartphone from T-Mobile with a balanced design, rich screen and speedy performance. For a low up-front cost, you get a device with a great screen, slick design and tons of features. 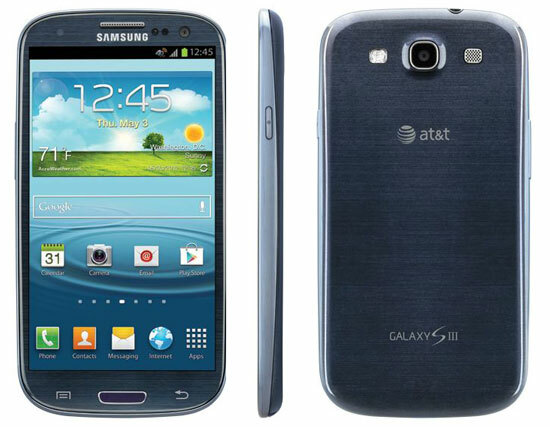 The design wrapped around the Galaxy S III's 4.8-inch display offers a nice balance between a big screen and one-handed usability. The curved edges make it comfortable to hold, as does its light weight. The display boasts a 1280 x 720 resolution, rich colors, terrific contrast and wide viewing angles. Small text is crisp, and no matter how you hold it, you'll get a good viewing experience. The S III's 8-megapixel camera is decent, especially for a phone at this price. Even on LTE, the Galaxy S III gets great battery life that lasts all day, even if the day is long.